Warren Robertson. Comedian. Comedy MC. Warren Robertson is a comedian who has no boundaries. Warren Robertson has won competitions internationally and has presented radio shows, podcasts and has written columns for various magazines and newspapers. Warren Robertson started his career in 2006 in the legendary Melville Underground. Warren Robertson spent 2008/2009 in the UK and appeared at the Edinburgh Fringe Festival. 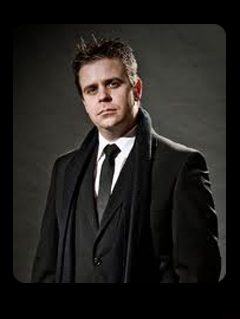 Warren Robertson returned to South Africa in 2010 and in 2011 was nominated at the Comics Choice Awards in 2011 as the breakthrough comedian of the year. Comedian Al Prodgers has referred to Warren Robertson as, “The most pyrotechnic mind in South African Comedy”. Warren Robertson has received glowing reports from all his clients and audiences. Warren Robertson goes above and beyond all expectations. Warren Robertson has brought hysterical laughs to stages around the country. Warren Robertson is an extremely versatile comedian who does comedy acts for clubs, theatres, festivals and corporate events.